Keeping things in order is pretty important while you make any move. 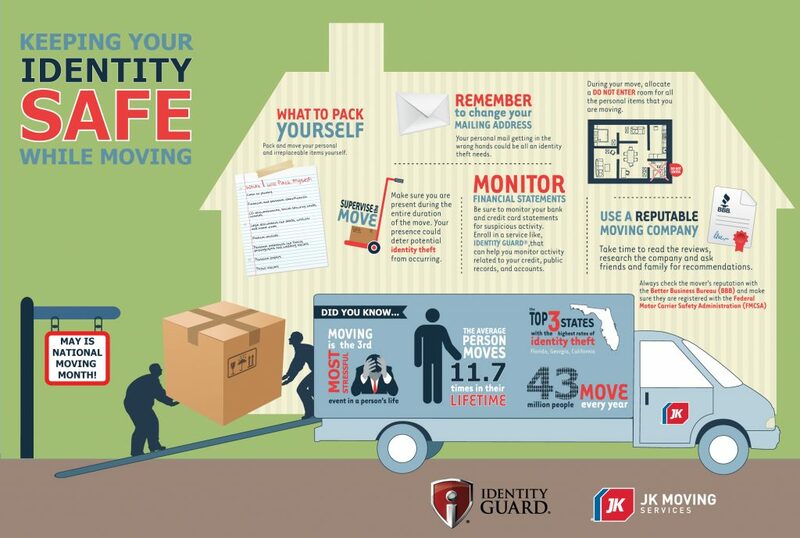 This is a nice checklist to keep yourself safe, as long as an infographic about having a safe move. Moving is a huge thing to deal with. You have to pack everything you own and take it to a new place then unpack it. But packing stuff and simply moving to another place is just one part of the move. You have to establish new connections, register yourself in the new community and much more. If you are moving to a different city or community, the following checklist is a must make for you. As soon as you move to the new place, register and set your new accounts with utility providers in the new area. After all you don’t want to run out of electricity or hot water for your bath. Registering with new gas and electricity companies can take several weeks to complete. So before you move, register with them early so as soon as you arrive at your new home, you have electricity and gas there. Moving is so much more than just taking your belongings with you. When you reach your new home, you need to set up a new account with government agencies of that area and get your address changed as soon as you are there. Check with your local election commission as soon as you arrive at the new place to understand the local rules of that election body. You will be told about the election dates and locations of poling stations. Avoid being absent at voting day by registering before hand and as early as possible. When moving, you will have to inform all the companies you receive letters from to change your address. You can do that later but as soon as you move, you can tell the local post office to set a mail forwarding service for you. That way, any mail that arrives for your old home will be automatically delivered to your new place. Try to change your address details with as many companies as you can through the internet. Most companies these days allow you to change address via their websites. You will have to register your vehicle with the new municipal of the area you are moving to. Go to the revenue authorities and sort this out as soon as possible. Once they update their database, they will let you know. General practitioners are your first stop if you need health care. Locate your GP in the area and register with them immediately. They will require some documents as proof of your new address. If you have a pet, you will have to register with the local vet too. New area means you will have to sign up with a new newspaper agency to get your news paper delivered at your home. Go to your favorite news agency’s website and register your new address with them. You can also notify your current newspaper agency of your move and see if they deliver at your new location. This infographic is brought to us by Summit Van Lines. If you live in South Florida, check out their areas of service to see if they can be of service to you for your next move.